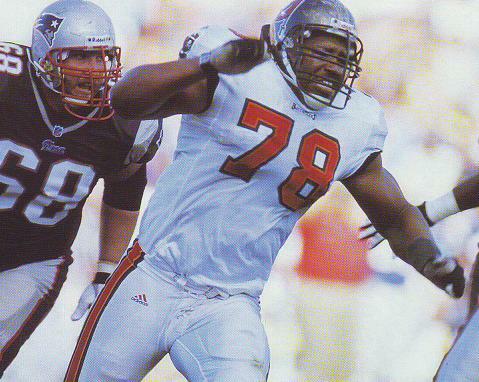 Former first round pick who was twice exposed in expansion drafts by the Bucs but rebounded from being passed over by Cleveland in 1999 to go from recording one sack in three seasons to notch seven sacks in 1999 and then a career-high 13 in 2000. Switched to left end from his favoured right side in 2001 and recorded only three sacks before being passed over by the Houston Texans in their expansion draft. 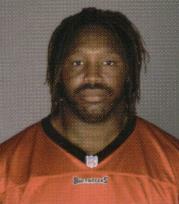 Suffered a knee injury during the 2002 pre-season and was placed on injured reserve. Recovered by mid-October and was waived by the Bucs at that point and was eventually picked up the Bills but never saw any NFL playing time again.